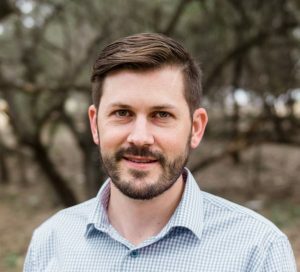 This month we will be joined by Rich Clark, Director of Development and Engineering at 7X Energy, who will discuss utility-scale solar development with a focus on the Texas market and how new technology is helping lead the solar industry into a bright future. 7X Energy serves corporations, utilities, municipalities, and electric co-ops with cost-competitive solar energy. When: Tuesday, January 22, 5:30-8 p.m.
RSVP now for this important and engaging conversation. At 7X, Rich leads the engineering including design, energy simulations, site studies, and permitting that support development of the company’s growing solar project pipeline. Prior to joining 7X, Rich worked at SunPower as the Development Engineering Manager for Utility Power Plants (UPP) covering North and South America. There, Rich worked on numerous power plant projects in the early development phase totaling over 3 GW of capacity. He also led the development engineering on seven UPP projects totaling over 450 MW in the U.S. and Latin America. Before SunPower, Rich was a Project Engineer at NRG Energy working on development for solar distributed generation and utility solar power plants. Rich has an MBA from Drexel University and BS in Mechanical Engineering from The University of Texas at Austin. He is also a licensed PE in New Jersey. Solar Austin is a chapter of the Texas Solar Energy Society (TXSES). To learn more or donate, visit www.txses.org/donate.